One of the most appealing of the many arguments used by native plant advocates in support of their ideology is the evolutionary concept of “co-evolution.” Co-evolution is defined by Forgotten Pollinators(1) as “The idea in evolutionary ecology that certain mutualistic organisms have directed or redirected each other’s evolutionary trajectory.” The implication of this theory is that plants and animals that have evolved together are interdependent and that loss of a particular plant will result in the loss of the animals with which it evolved. Native plant advocates sometimes describe these relationships as “a lock and key,” implying that native plants and animals fit together in a mutually beneficial relationship which is exclusive. Those who believe this theory are obviously deeply committed to saving all native plants because they believe the loss of any single plant would inevitably lead to the loss of the animals that are dependent upon it. Likewise, non-native animals are often exterminated based on the assumption that they compete with native animals and that loss of native animals will lead to the loss of native plants. There are three problems with this theory. First, while there are some examples of truly exclusive co-evolved relationships in which both species cannot survive without the presence of the other, the number of such relationships is quite small. Second, even these relationships are not immutable because evolution has not stopped, and therefore other species may develop mutualistic relationships with the prior exclusively mutualistic species. And third, organisms are opportunistic and are quick to take advantage of any new opportunities, meaning that many interactions observed between species in the wild are not co-evolved at all. For example, the honeybee pollinates hundreds of species of North American plants and it didn’t evolve with any of them (since honeybees were introduced into North America from Europe, which had introduced them from Africa). Why is “co-evolution” rare in nature? When defining “co-evolution” Forgotten Pollinators adds this caveat, “Good examples of truly reciprocal coevolution are difficult to find.” Although the concept of “co-evolution” has a certain logical appeal, the explanation for why it is rare in nature is even more logical: it is a risky survival strategy in a world that is constantly changing. If, for example, the specific plant upon which a specific animal depends doesn’t bloom or doesn’t return from its dormant phase because of a sudden, even temporary, change in the climate, the animal that is dependent upon that plant is out of luck. Since such fluctuations of environmental conditions are common, natural selection does not favor the animal that is restricted to a single plant for which there is no substitute. Such exclusive relationships therefore do not persist in nature. Nature provides “back-ups” that will enable plants and animals to respond to fluctuating environmental conditions. 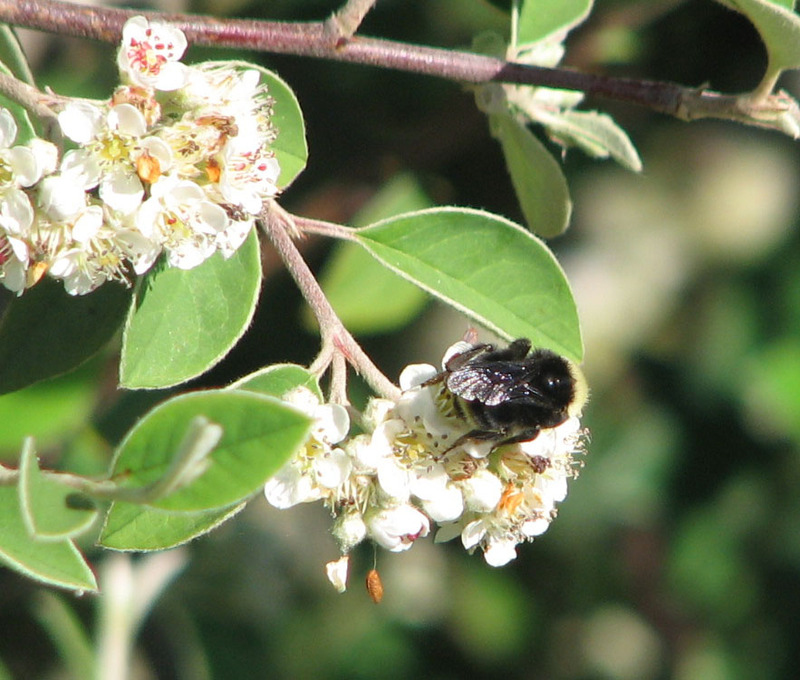 For example, few plants have a single pollinator. Most have several, usually of several different types. One bee may be a particularly effective pollinator of a particular plant, but that plant is probably also visited by a fly, a butterfly, a bird, a beetle, etc. As humans do, plants and animals don’t just give up when conditions change. We all look for and usually find other alternatives. The Science Section of yesterday’s New York Times features an article about evolution of animals in New York City. In the most densely populated city in the country, founded nearly 400 years ago, 74% of the native plant species that existed when the city was founded in 1624, still exist there. (2) San Francisco has an even lower rate of extirpation of its native plants since it was founded in 1850. Ninety-seven percent of the 714 plant species known to exist in San Francisco in 1850 are still found in San Francisco. The fascinating article in the New York Times reports that the ability of animals to evolve in response to changing environmental conditions has enabled their survival in the urban environment. The white-footed mouse is an example of a native animal that is thriving in New York City. The urban environment creates isolated urban islands, such as parks. Scientists find that virtually every park in New York City has a population of genetically unique white-footed mice. In fact, “The amount of [genetic] differences you see among populations of mice in the same borough is similar to what you’d see across the whole southeastern United States,” according to the scientist studying this mouse in New York City. It’s difficult to imagine a more altered, artificial environment than the road medians on Broadway on the Upper West Side of Manhattan, which are composed of landfill used to cover the subway tunnel. However, scientists have found 13 species of ants living in some of these medians. Nine of the thirteen species are native. Nature is opportunistic and resilient. It isn’t necessary to eradicate non-native plants and animals to ensure the survival of native plants and animals. What greater laboratory to illustrate the resilience of nature than New York City? Webmaster: Yes, according to the management plan for the Natural Areas Program (available here: http://sfrecpark.org/documents/623IntGreenbelt_al3.pdf) there are 3 species of native plant in the Interior Greenbelt (Fairy Bells, Sweet Cicely, Thimbleberry) of which one (Sweet Cicely) does not occur elsewhere in the “natural areas.” Unfortunately, the management plan also says that 140 trees must be destroyed in the Interior Greenbelt to protect these small patches of native plants.